Let’s face it, home staging is a visual industry. While we do more than make homes look pretty, that’s what shows on the outside. Portfolio shots are the things that will likely get us the most jobs too. We know that we need to spend time on social media sites to spread the word and get our customers to engage, but sometimes it feels like it’s all a waste of time, especially if you are going about it all on your Facebook fanpage. You’ve heard me talk about the merits of Google Plus before on this blog. The fact that it contains the word “Google” in it should be enough to catch your attention, but in case it’s not, let me make a case in a very visual way. 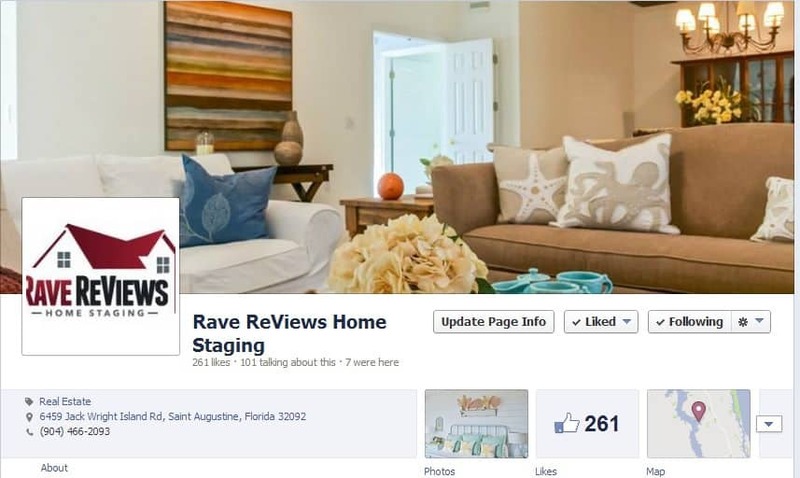 Why home stagers should be using Google Plus. Since the RESA convention in Las Vegas earlier this year, I’ve been dedicated to getting more active on my business pages. While I’m always good at social media, for me it’s a hobby that I love to engage in, I haven’t been really pushing my business pages. Instead I’ve been doing most of it under my own name. That needs to change because I understand that I need the SEO and building a company again I want it to be my company that is branded, not just me. It’s the only way that customers will be willing to work with other members of the team and not expect me there all the time. I have too many irons in the fire to be the only one working on jobs. To give my business a push I’ve committed to putting ideas out there every day. Sometimes it is using my own work, other times it is using the work of others, from sources like Pinterest. I always credit the souce when I post. Here’s how the same posts are stacking up on both Google Plus and Facebook. That’s great. I’ve not only had people +1 it (the same thing as like on FB) but also I’ve had a couple of reshares and comments. As you can see, the FB post didn’t get as much traction. For both posts I shared it on my biz page and then reshared on my personal page. So, how did the personal pages do, any better? Hey, that still did pretty well….. So it looks like on my personal page they faired about the same… Well, except for a couple little things. On Google Plus the status was actually indexed in Google Searches. That’s right, Google adds the write up that you include in indexable search results. I’ll let that sink in for a few minutes. Facebook… nope. They index your biz page, but they don’t index your posts. They are just gone after a time. Oh sure they are still there, but they are virtually impossible to find, even when you know what you are looking for. Ready to use Google Plus but don’t know how… read the blog and page information below. It’s a good source. Oh yeah, and one more thing. A few months ago I wrote about how you can share more of your social media posts so that they can have an extended lifespan and get you more followers, well it turns out when you do this (embed) with your Google + posts, you get even more SEO juice!! I’ve had my business pages about the same amount of time. Check out the difference in followers on both accounts. Please also remember that in order to get my Facebook numbers up this high I’ve had to actively invite people to follow me. On Google Plus I haven’t sent out any invite invitations (because you actually can’t). G+ is simply the natural result of posting content that people like. Wow! What an enlightening experience. Of course I’ll continue to update and do work with both of my business pages because I want to be seen everywhere, but seriously which do you think is better for my business? Can you see why other home stagers need to spend some time on Google Plus too?